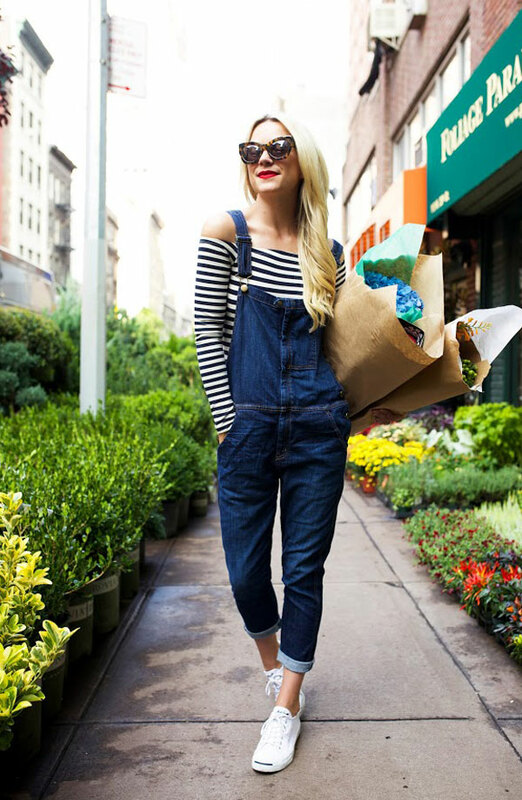 Denim overalls is a fashion trend from the 90s that is currently taking the stage again. So, if you still don’t own a pair of them you better get yourself one and thus keep up with the latest fashion trends. 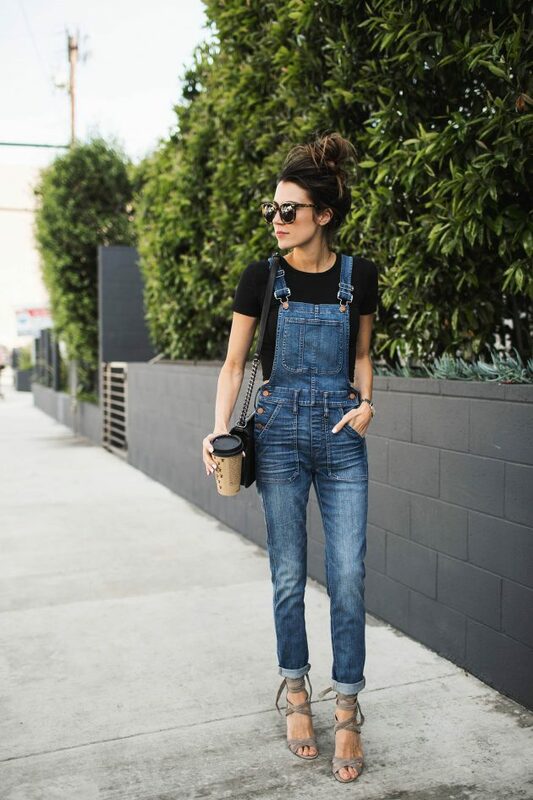 Denim overalls are durable, require minimal effort to style them in the right way and are super comfortable, which gives you the freedom to wear them even all day long. They can be found in various shades, from light to dark, as well as styles, from baggy and loose ones to skinny and fit. Combine them with some plain shirt or maybe a crop top. And when it comes to the footwear, feel free to combine them with sneakers, flats and even with heels. Below, we have chosen several outfit ideas that you can find as an inspiration of how to wear your favorite denim overalls and thus look trendy. Check them out and choose which one is your favorite. Enjoy! Denim looks great with everything, so you won’t find it hard to combine your denim overalls with different colors of tops and shoes. Today, we have chosen mainly long denim overalls, but you are probably familiar with the many other possible styles of overalls. Such styles are the denim short overalls, as well as overalls in any other color or print. So, if you want to skip from the traditional denim overalls, you can choose to get yourself a pair of some colored overalls, or maybe even printed ones, such as floral, striped, etc. 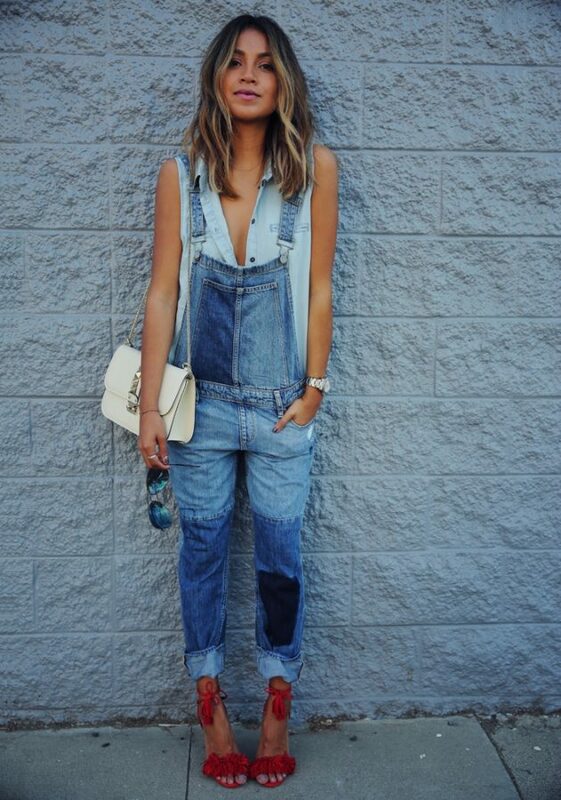 So, which one from the above street style looks with denim overalls did you like the best? Tell us in the comments and also let us know if you would prefer to wear denim overalls or some colored or printed ones. Thank you for reading and of course, don’t forget to stay up to date with the content of Fashionsy to keep up with the latest fashion and beauty trends.